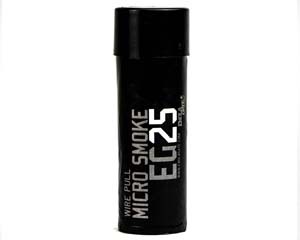 Smaller version of the WP40 smoke grenade from Enola gaye producing 30 seconds of white smoke. This smoke flare is operated by a ring pull and will start producing smoke as soon as the pin is pulled out. Perfect for video shoots where only a small amount of smoke is required. Using a white smoke effect looks great mixed with other colours and can add an extra sense of depth to a picture or video. The EG25 offers you a compact easy to use unit with a considerable output but for only 30 seconds. More than enough time to get that killer shot leaving you breathing space to plan your next one. 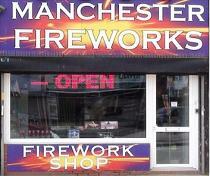 Enola Gaye smoke grenades sold at Manchester Fireworks are the best that you can buy - We have done extensive testing of these products and use them regularly when we are doing special effects productions. They are perfect for a variety of uses which can include video and photography especially music videos and weddings and also special effects for making movies of outdoor live events. Please be aware that smoke grenades are classed as a pyrotechnic article and can not be used in a public place and are only legal to be used on private property. 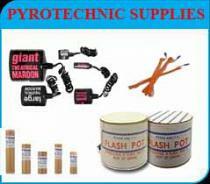 Smoke grenades and flares can not be sent by post as they are classed as pyrotechnics and must be collected from our Manchester shop.